Matthew 6:25 Therefore I say to you, do not worry about your life, what you will eat or what you will drink; nor about your body, what you will put on. Is not life more than food and the body more than clothing? 26 Look at the birds of the air, for they neither sow nor reap nor gather into barns; yet your heavenly Father feeds them. Are you not of more value than they? 27 Which of you by worrying can add one cubit to his stature? As I read in Matthew 6:25-34, I am reminded of God's care to provide for the birds and that he will surely provide for my needs. I can trust him fully to provide for my every need in every situation. The birds provide a constant reminder of this truth. 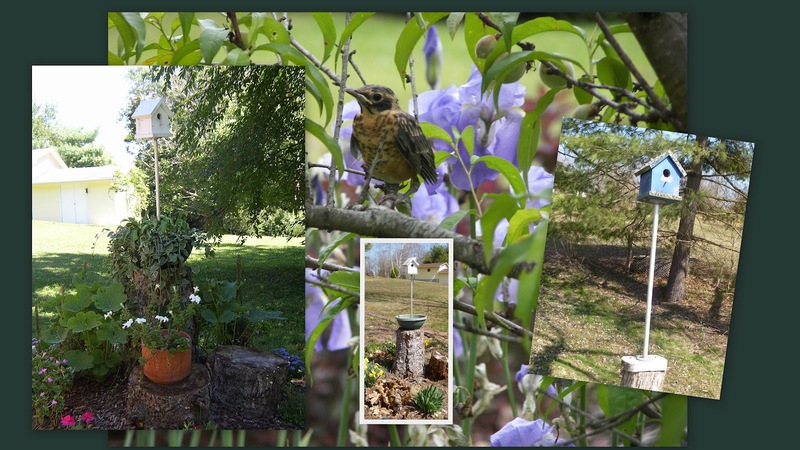 Spring is in the air as I look around me and I see the robins on my patio and wake up to the birds singing. What wonderful sights and sounds! Winter is almost gone and spring is coming on. The time has changed and the temperatures are rising. My husband has fed the birds all winter and now we are preparing for the new birth season of baby birds. 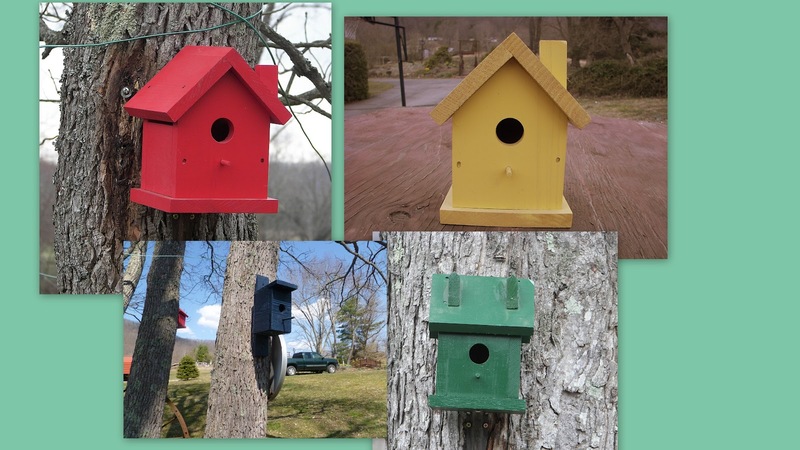 We are painting and hanging bird houses in our yard and seeing the birds starting to make them their homes. One has chosen our grill as his home for the last couple of years. We didn't use our grill until after the birds flew from their nest. My husband is a real handy man and he could certainly build bird houses. He has done so in the past, but we have discovered that buying them at Jo-Ann Fabric's, with a coupon, is the most frugal and time saving way to go. We purchase them unpainted and then finish them ourselves. We used various colors of spray paint. 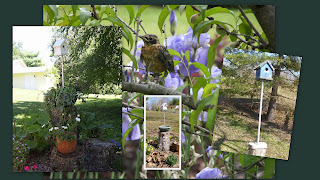 Some are displayed in my flower beds or just on a stump with a metal pipe to keep the cats from climbing up and getting to the baby birds. 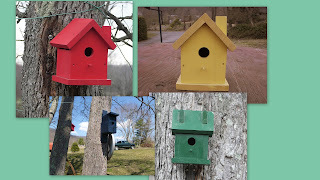 We made several of these decorative birdhouses to give as gifts. We took a bird house and painted it green and then added a 2 x 2 in wood pole, 42 inches in length, which we stained with wood stain. 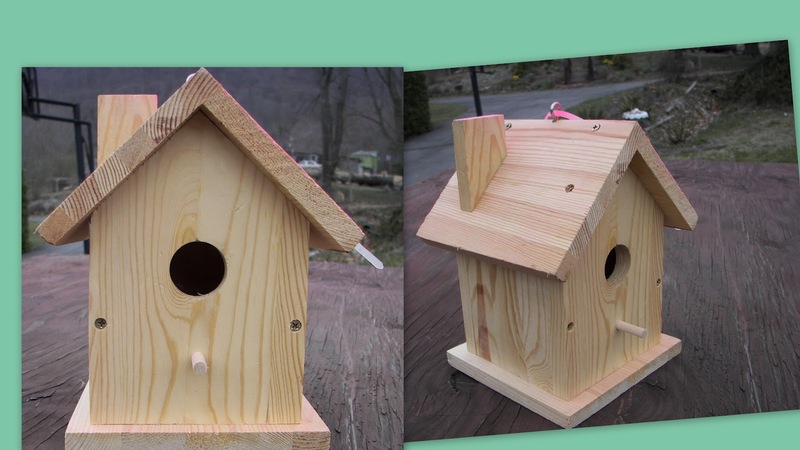 We attached the pole to the bird house with a double screw ( meaning both ends of the screw will screw into the wood). We added a platform 6 x 10 inches that was painted the same color as the birdhouse. I purchased a grapevine floral arrangement from Walmart to wrap the pole with. Some craft moss was added inside the birdhouse for nesting. We have certainly enjoyed making them and giving them to friends and family. May birdhouses and birds be a constant reminder to you that you need not worry about yur life for God will surely take care of you. 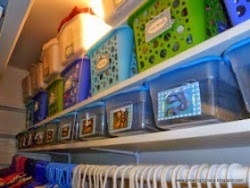 This post is part of Get Your Craft on Tuesday at Todays Creative Blog. Nice post! Have fun watching the birds this Spring! Thank you for viewing my post and for your note. We really enjoy the birds year round. My mom loves birdhouses. I have one that I am going to paint for her soon. Do you put any type of sealer on yours? Love the colors! We have not put sealers on our bird houses, but it sounds like a good idea. We put three to four coats of paint on them and my husband thinks that is sufficient. Thank you for asking and for viewing my post. The bird houses look so cute. I love the look of the decorative one at the bottom, too. Love them! Following from Sunday Social! My older son is obsessed with making bird houses, he would love this. Yours look great. I would love for you to share at the Anything Goes linky on Friday at Bacon Time. I would love to do that but I don't have your link. Could you send me your link. THANK YOU FOR VISITING MY BLOG. Thank you so much for visiting my blog and following me. I appreciate it so much.